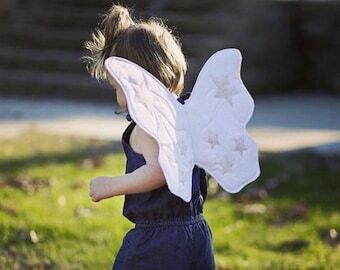 One of a kind, quilted MINI fabric wings. 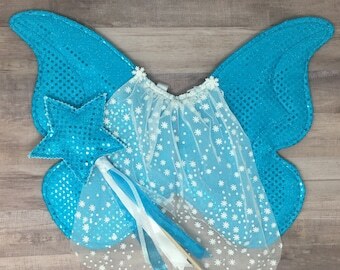 Heirloom quality white and ivory butterfly wings for toddler pretend play, kids costumes, dress up, make-believe, imaginary play, or toddler costumes. A beautiful photo prop for your holiday or birthday photoshoot--the perfect size for a first birthday celebration! Or everyday wear for fabulous youngsters! 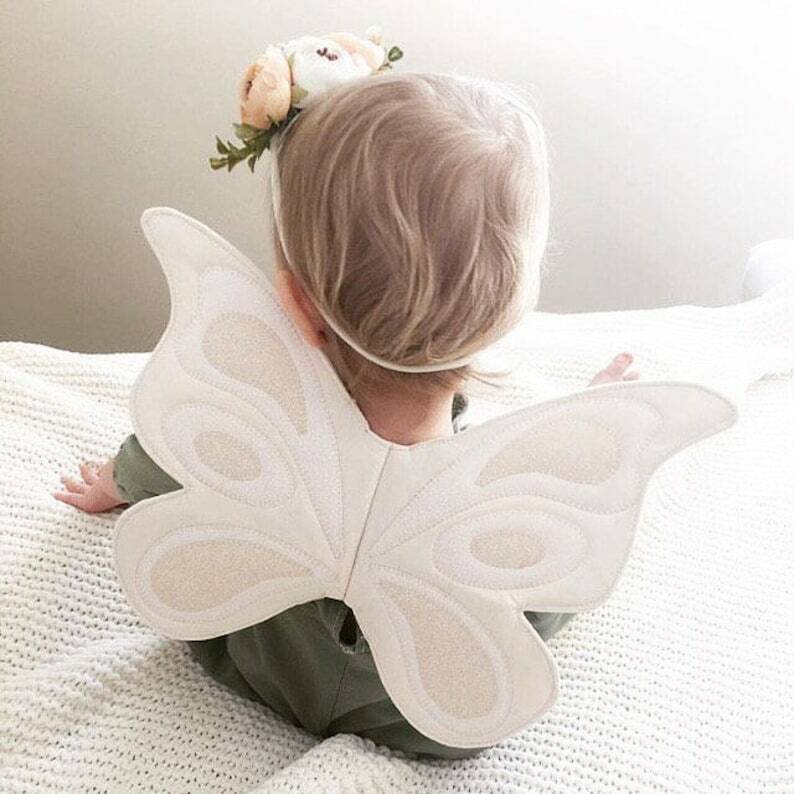 Your little one will look so adorable in their ivory butterfly wings with white and cream accents! Each pair is unique and handmade with love, perfect for your precious little flyer. A one of a kind gift idea for one of a kind kids! These wings are made to order. Please allow 1-2 weeks for your wings to ship. Wings are approximately 12.5 inches wide and 10 inches tall. The center of the wings is approximately 4 inches long. 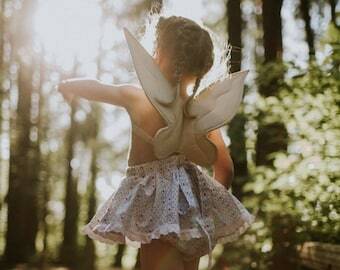 These wings are designed for toddlers and younger kiddos. Wings feature adjustable elastic arm straps that should fit kids from sitting baby (6-9 mo) to approximately 4/5T. Love! I bought these for the birthday girl’s cousin and she wore them all day! These wings are stunning! We love them and the quality is perfect. Tellement mignon et bien confectionné!